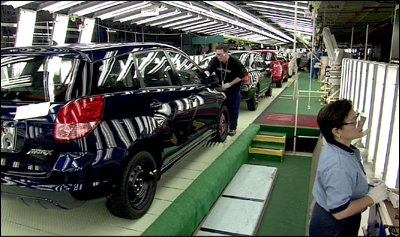 Toyota Plant Tours in Cambridge, Ontario offer an exciting experience for groups. Nothing is more fascinating than seeing how things are made. Let us take your group right into the heart of Toyota Motor Manufacturing Canada Inc. to see how Team Members and robots build the Lexus RX350 and 450h. Our trained guides will communicate directly to you through an audio headset as you travel on a motorized tram into the action. Each tour is approximately 75 minutes in length, starts at the Visitor Centre and involves a motorized tram tour though South Weld and North Assembly, two of the most visually impressive shops in Cambridge. A behind the scenes look! See award-winning production and quality control systems in action and marvel at one of the largest stamping presses in the world. 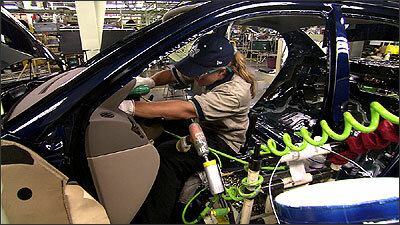 Learn about just-in-time manufacturing. Unfortunately, tours are currently conducted in English only. We apologize for any inconvenience this may cause. 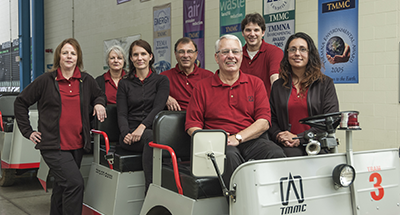 Toyota Motor Manufacturing Canada is proudly growing and developing. As a result, this schedule may change from time to time. Ready to request your tour? To request your complimentary Toyota Tour, contact the Toyota Visitor Centre at 519-653-1111 x 2270 or book online. Our Tour Guides are available to book your tour and answer inquiries Monday through Thursday from 8:30 am - 4:30pm. General Tour inquiries can be directed to the Cambridge Tourism Visitor Centre at 1-800-749-7560. Our Tourism Counsellors are available 7 days a week to assist you with your inquiries. Our Tour Guides will require your name; your group name; daytime & evening contact phone numbers; number of & age groups of guests; and preferred tour dates. Please see the section on safety rules and regulations for further tour clarification.